Having the right equipment is crucial to this sport, but you don’t have to invest a lot of money to have decent equipment. 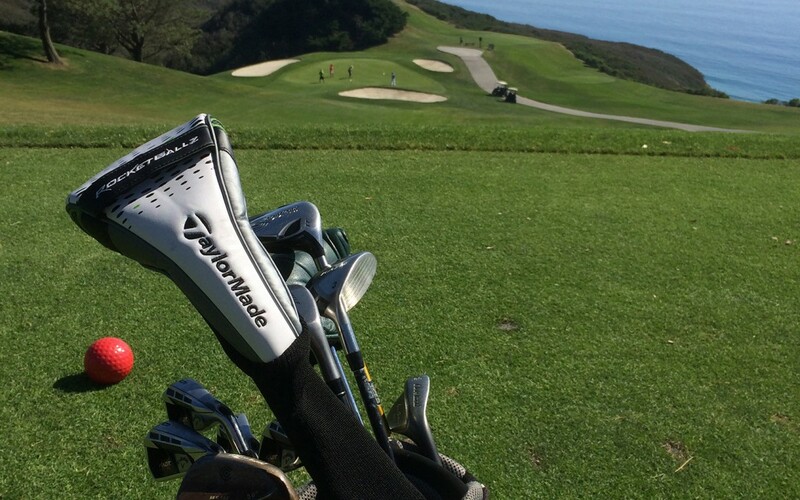 You just need a set of clubs that fits your game and physical swing. In this section we will go over what all the clubs in your bag are used for and what the best options are for buying your own set of clubs. The driver is designed to hit the ball the farthest. It is the club with the largest club-head, the longest shaft, and the least amount of loft. The driver is most commonly used for tee shots on par-4s and par-5s, with the ball teed up. Loft for this club ranges from 9.5-13.5 degrees. The Loft gets the ball higher up in the air to make the ball go farther. The lower the loft, the farther the ball should go. The putter is used on the green with the intention of rolling the ball into the hole from a short distance away. Putting is where women can really stand out in a corporate scramble. Fairway woods have smaller heads than drivers and get progressively shorter than drivers. That makes them easier to control in the swing than a driver, and coupled with their smaller heads and greater lofts are easier to hit in the fairway than drivers. I wouldn’t hit these out of the rough, 9 times out of 10 you will end up topping the ball. These clubs are a hybrid between your irons and woods that create a club that is easier to hit from the rough and are usually replacement clubs for 2,3 and 4 irons. Once you learn to hit these, longer distances won’t seem so difficult! These are the most common clubs in the golf set and are usually the easiest to hit and control. Irons vary based on their length and loft. A 5 iron will be longer and have a lower loft than a 6 iron. And a 7 iron will have a higher loft and a shorter shaft than the 6 iron. So, a 5 iron will go a farther distance than a 7 iron and distances usually vary by 10 yards for each successive club. The sand wedge is also an iron but due to its high loft and bounce, it is primarily used out of the sand. Lower bounce is what gives the ball more roll and release on the green. The pitching wedge has a slightly lower loft than the sand wedge and is use for shorter shots and shots when you have a lot of green to roll the ball towards the hole. Distances will vary for each person and it doesn’t matter if you are the longest driver or the shortest driver, what matters is that you know your distances so you can properly judge which club to use to get onto the green. As far as buying clubs goes, your best bet is to buy a used set or a pre-packaged golf set and then go to a professional golf fitter and get your set fit to your swing. Also start with ladies clubs unless you think you may have a faster swing speed (more like a man’s swing speed). Just know as a comparison that I can hit my driver 230 yards and I use senior men’s clubs!